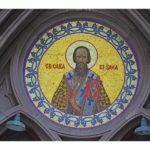 Note: Parking for Saint Sava Fundraising Gala will be available at 124 East 63rd Street, (212) 838-2720, for a discounted valet parking at $50 (instead of $65) for the night, when guests present the gala invitation or mention they are attending the Serbian Gala. 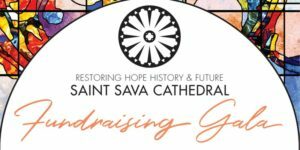 SAINT SAVA IN NEW YORK: RESTORING HOPE, HISTORY AND FUTURE – Come help to restore the lovely church and the community of Saint Sava in New York City by joining us for our annual fundraising gala on November 3, 2018 at 583 Park Avenue in New York City. Take part in this once-in-a-lifetime historic project, for your sake and the sake of your posterity. Please note, we are accepting seating requests. 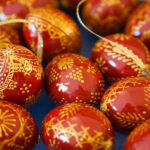 If you have a seating request, please be sure to make note of it when registering for the event.